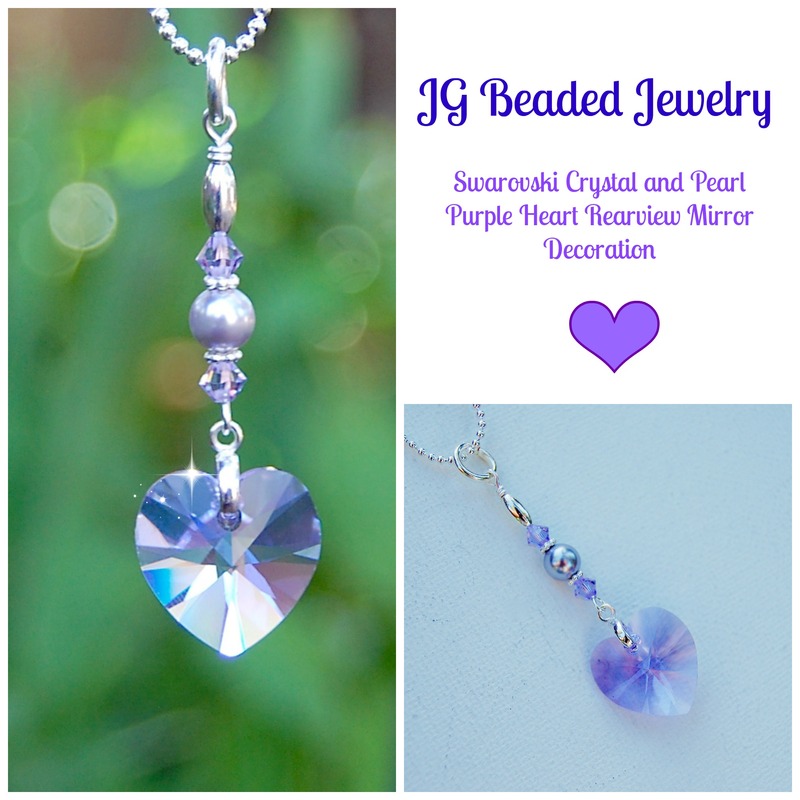 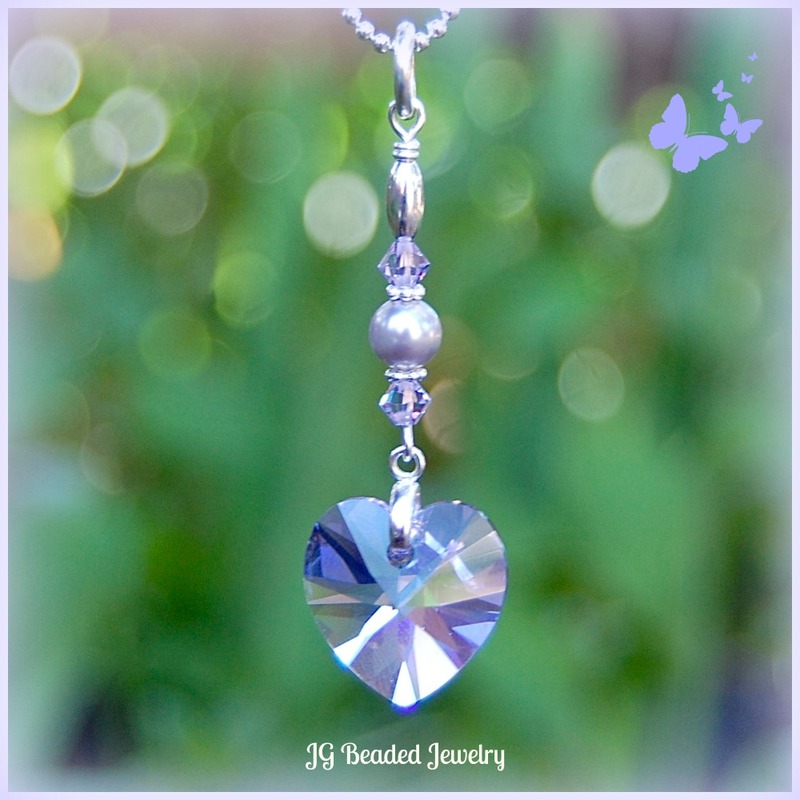 This Swarovski crystal purple heart is handcrafted and uniquely designed with a precision cut 18mm violet purple Swarovski crystal heart that hangs from a silver bail. 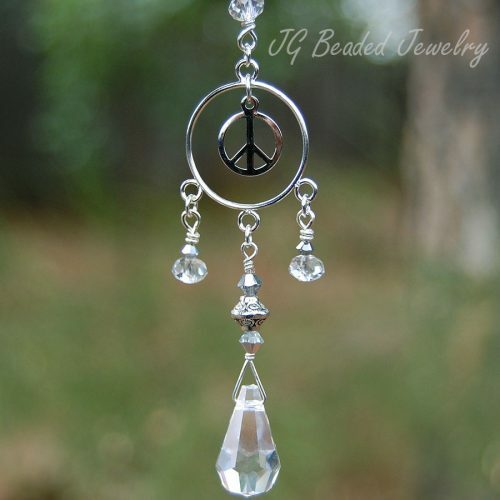 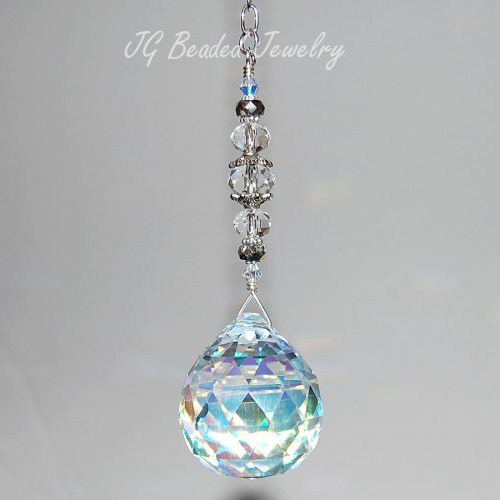 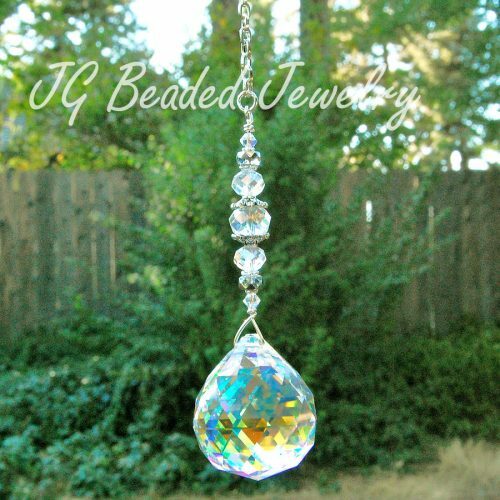 It is embellished with violet Swarovski crystals, a beautiful lavender Swarovski pearl and fancy silver metal beads. 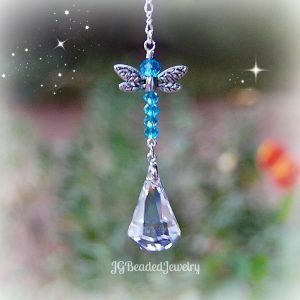 Swarovski is known around the world for their precision cut designs and flawless crystals – they are excellent quality crystals!